Between the Christmas tree we just put up in the Main office and talks of the upcoming company Christmas party, we are really getting into the holiday spirit around here! And there has been some exchange of gift ideas for friends and family, who are fellow boaters. Giving a boater a gift for their boat is a great idea because you know it is going towards something they really care about and is something of interest to them. There are thousands of boat accessories out there that would make great Christmas gifts, so you make not know where to start. 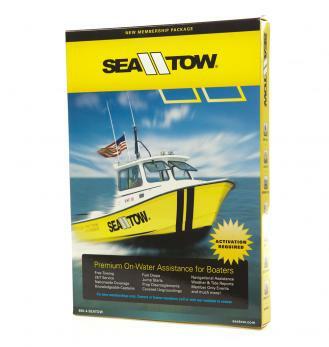 Below are 10 great gifts to give boaters that our brokers have suggested over the past few days. 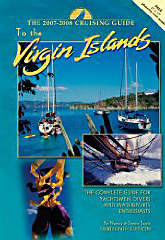 (1) Cruising Guide or Travel Book– If you know someone who is getting ready to cruise somewhere or has always talked about a specific travel destination then a cruising guide or travel book about the destination would make a great gift! 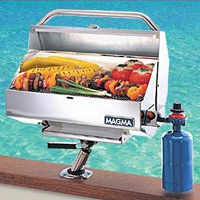 (2) A Boat Grill– This is an essential item for anyone who loves entertaining guests out on the water! 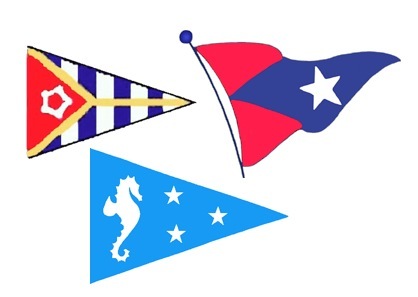 (3) Customized Burgee – Burgees are a great personalized gift for the boat’s bow or flag pole at the stern. 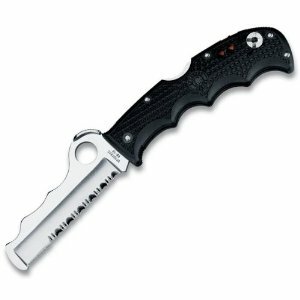 (4) A Mariner Knife – Every boater needs a good knife! There is always a possible need to cut a line free, use it for rigging or to scale a fish. 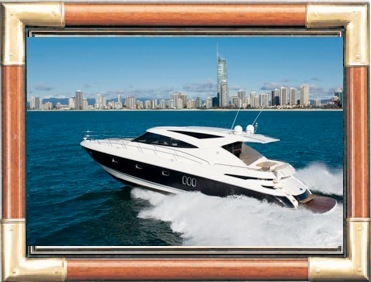 (5) Framed Picture of the Boat Underway– Pictures of a boat while underway may be hard to come by for the owner. If you happen to have a great shot of the boat, blowing it up and putting it in a snazzy, nautical inspired frame would be a great gift! 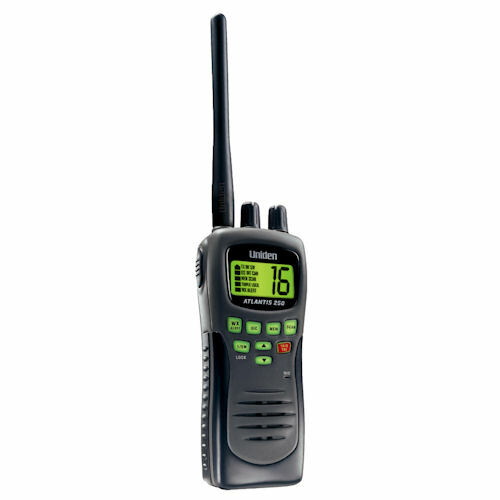 (6) Handheld VHF Radio – A Handheld VHF can serve as a great back-up. Some manufacturers can now offer them with integrated GPS receivers and DSC hailing capability. (7) Safety Bag- Chances are the boater has mandatory safety and emergency gear already on board, but may not have everything well organized. A commercial-weight, ventilated bag such as the one below is ideal for storing PFDs, first-aid supplies, safety flares, distress flags, air horns, etc. (8) Membership for Marine Assistance – A membership for marine assistance can give a boater peace of mind while enjoying a day out on the water. (9) Gift Certificate (to a Marine Related Store or for Marina Dockage) – You can’t go wrong with a gift certificate! 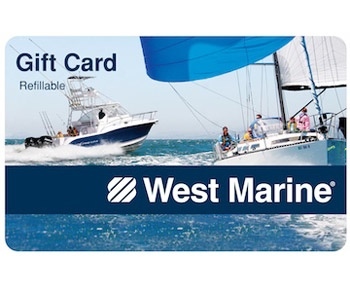 If you are unsure of what they already own, then a gift certificate to a store like West Marine or for marina dockage at their favorite weekend destination would be a great choice! 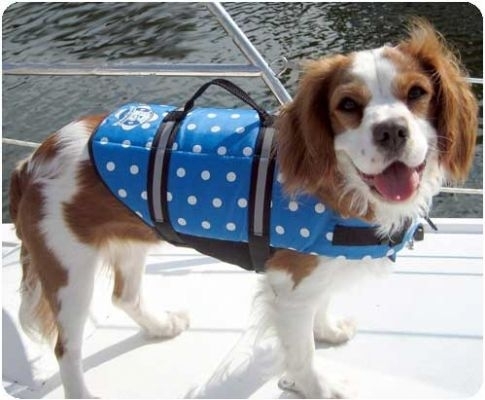 (10) Life Vest for a Pet – A gift all the furry, four legged boaters out there that celebrate Christmas! Do you have any other boat-related gift suggestions? Leave a comment below with your ideas! ← It’s Begining to Look A Lot Like Christmas! Yes, wine is very important!